Thanks to a long time subscriber for sending the link to a new CPR technique know as continuous chest compression CPR. Thanks also to the Historian who presented the URL to his son who is an Emergency Room doctor who made the following endorsement: "This video is correct & for the general public it is now recommended to do frequent chest compressions & skip the mouth to mouth resuscitation – & calling 911 is important to get help." Could come in handy in an emergency. "If a federal judge changes the law. . . then I'm going to follow what's been redefined as the law." Michigan Governor Rick Snyder abandoning his oath of office to support the Constitution of the United States as he prepares to run for reelection this fall. Snyder, who ran for governor four years ago saying marriage was "between a man & a woman" is adjusting his Republican Party tone & stances to reach new voters after a judge found a ban on homosexual marriage in Michigan unconstitutional. The above top quote & pitiful strategy for reelection by Michigan's governor shows just how detestable the Republican alternative can be for many of us – so much for running on the set of principles the country was founded upon when you can take a poll, like the one shown in the graph above, or wait for a judges' ruling to see what your new positions should be to ensure reelection – or so you think. What homosexual could possibly trust Snyder after shifting his position from four years ago that marriage was "between a man & a woman?" What Tea Partier could trust Snyder, an elected governor, who follows the lead of an appointed judge? – that is my gripe, much more so than Snyder's various pandering PC positions regarding what constitutes marriage. The fact that Snyder's shift came about because of a judge's ruling means that Tea Partiers recognize there is not a dime's worth of difference between such Republicans & their statist opponents & will vote for neither. Whether you are for or against homosexual marriage is beside the point that Snyder (& his ilk)will go back & forth on the issue based only on his perception of popularity & strategy for getting reelected. No thank you. 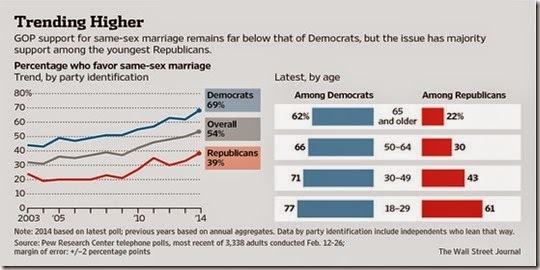 The second quote above is an indication of how outnumbered conservatives, Tea Partiers, & libertarians are. As state after state like Iowa, Virginia, & North Carolina turn bluer each election cycle there is not one example where a blue state turned red because conservatives moved in. This phenomenon is caused by some blue states having such a large surplus of statists that many of them can relocate while still leaving a majority of statists in the original blue state while the transplants overwhelm the new state & turn it blue. In other words statist candidates in blue states win by large margins & conservative candidates win by small margins for the most part. Texas is the ultimate prize in this regard for the statists. For most of 2014 the establishment Republicans & the Tea Party Republicans have been satisfied to campaign predominantly on the single issue of being against ObamaCare – this has produced a fragile uneasy truce between the two sides that stopped the bashing of each other & I hope the truce holds. The problem with this single minded approach is that ObamaCare is starting to become more accepted & popular with an unsuspecting populace. 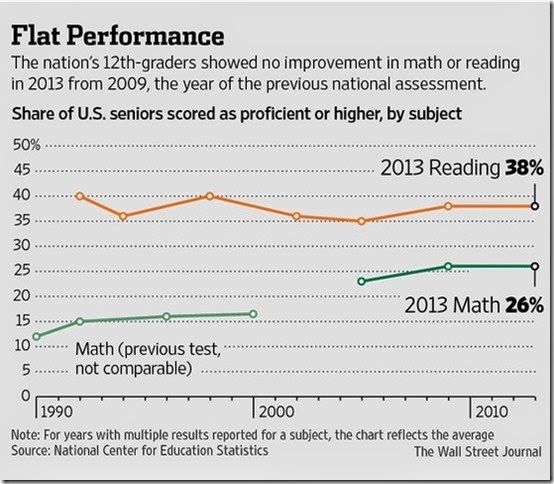 See graph below. BO has delayed the worst parts of ObamaCare so that they will not come into effect until after November's midterm elections. This leaves Republicans, with no concrete proof, telling disinterested people how bad their healthcare future will be. In the meantime Democrats will promise hikes in minimum wages, extensions of unemployment compensation, amnesty legislation for illegal immigrants, & hammering home the perceived Republican war on women & women's rights concerning equal pay & choice regarding having abortions. Women made up 54% of the electorate in 2012 & Republicans are already planning & practicing how not to offend the virtually certain Democrat woman presidential candidate in 2016. A long time subscriber to RTE recently wrote to me that "ObamaCare can only succeed at best for a short time. . . & within a few years ObamaCare will be running a huge deficit. There is no way they will be able to pay all the claims that will be coming in under his plan. Insurance in its true form is a lot of premiums being paid with a small risk of loss. ObamaCare doesn't do that, it covers all kinds of claims ("well visits", prescription plans [Bush blew it on that one as well, Viagra, etc.]). In short over 300 million claims by 300 million people. 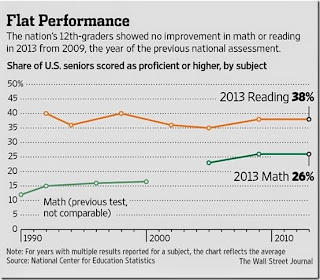 The math simply does not work." 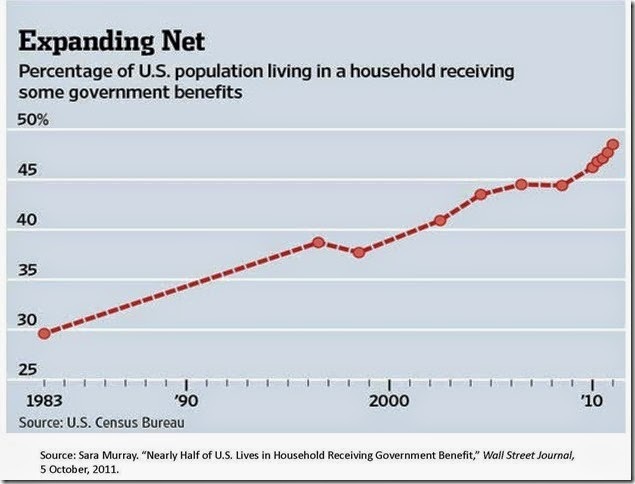 The problem for us is that the short term our subscriber talks about only needs to be longer than November's elections - then it's trouble the last two years of BO's term. The delays in implementing ObamaCare's worst features keep improving its short term chances. So as Republicans sense that the single issue strategy of being against ObamaCare continues to fray around the edges the GOP has turned its focus to Senate Majority leader Harry Reid as a political symbol of what is wrong with Washington – much like they did with Pelosi in 2010. Control of the U.S. Senate is the immediate electoral stake but unfortunately Ringside Reid is not readily recognized by the majority of voters. Democrats recognize what is happening & are starting to campaign on the desirability of fixing parts of ObamaCare rather than outright repealing it – Dems are even going so far as to say the Republican shift in strategy is an admission that ObamaCare is succeeding. Reporter Claire Shipman, wife of presidential Press Secretary Jay Carney, recently said that working women value flexible hours & then changed it to say equal pay & flexibility are important. The Democrat thrust is working its way toward the European "flexicurity labor market system" of enhanced flexibility & security that is built on high minimum wages, high average wages, & very progressive taxation to pay for the flexibility & security of workers. Now Republicans know where Democrats are going on the issues & vice versa so why don't Republicans just go back to basics & campaign like they really believe it – that the general Welfare of the United States is best served by people – men & women, homosexual & straight, Hispanic, Black, & Asian, – working in the cooperation that is the free market capitalistic system. America's brightest future will be realized when all of the really unclever gamesmanships described above are not just put aside but are unmasked as the domestic enemy of America that has infected our country with the clear intent of ruining everyone's chance @ the American dream. We have to face that something different happened in November 2008 & it was confirmed in 2012 – & that something is evil & a deliberate deception to overrun our country. The last five years has not been about the usual sort of things the two parties argue over & take turns winning elections over. 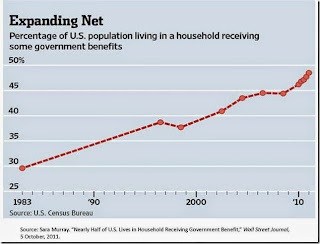 These years have been about robbing liberty from people by increasing dependency on government & promoting destructive class warfare & envy & there is no end in sight re this pursuit & no foreseeable practical solution other than for those of us who still believe in America to campaign on, teach, & live the libertarian principles that our country was founded upon. Start with the thought of freedom & explain that all prosperity comes from unleashing the free human intellect. If we lose with that message all is lost anyway @ least until John Galt comes forth. Thanks to a long time subscriber for sending this link to SC Congressman Trey Gowdy's dramatic three minute news conference with the media – in reverse. In this case Congressman Gowdy does not take questions from the media he asks them to the media regarding the four murders in Benghazi, Libya on September 11, 2012. Congressman Gowdy will head the House Select Committee that will formally investigate the Benghazi matter that has been sidestepped & belittled by BO & his entire administration since its occurrence. A handful of people like Judge Jeanine Pirro, Bill O'Reilly, & Congressman Gowdy have worked hard but have barely been able to keep the issue alive. A congressional select committee is a committee usually created by resolution (in this case H. Res. 36) & is appointed to carry out a special function that is beyond the scope & authority of a regular standing committee. In this case the special function is to investigate the murders of four Americans in Benghazi twenty months ago to the day. To put the timing of forming the Benghazi Select Committee into perspective please consider that the current Select Committee formed by the New Jersey Senate & Assembly to investigate Christie's involvement with traffic congestion on the George Washington Bridge, & Holder's criminal investigation of the matter, each took only a few days to come into existence once the incident came to light. When I received the news from my friend Jim Gawron that he was running for Congress in NJ's 7th district Carol said to me – "now we have someone to vote for." 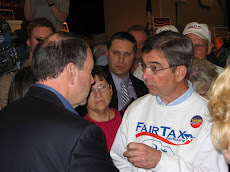 Jim has been the subject of several RTE posts & joined me on WRNJ in 2011 discussing the FairTax. FairTaxers who complain their congressmen never talk about the FairTax in public will be pleasantly impressed with Jim's in depth knowledge. Jim is fiscally conservative & socially tolerant. He will govern on principles of sound money, balanced budgets, gun owners' rights, auditing the Fed, repealing ObamaCare, protecting privacy, ending the war on drugs, & is as big a FairTax supporter as you will find. Jim also believes in the Founder's intent regarding the Judiciary Branch & government non-involvement with marriage. All have been topics of posts on RTE. I will be working for Jim once again & in fact have already started by helping him secure 1,000 personalized FairTax pocket cards that he plans to take door to door. I also am in the process of obtaining petition signatures to get him on the ballot in November as the Libertarian Party candidate in NJ's District 7. If you live in District 7 please let me know if you would sign the petition. If you do not live in NJ's District 7 & do not have a candidate of this quality in your own district or state please consider a donation. I donate quite often to candidates outside NJ – mostly recently to Steve King of Iowa several times. Check out www.jimgawron.com for many more details re Jim. I asked Jim to write a short message describing why he decided to run for Congress. Below is his answer. I made the decision to begin running for office after the elections of 2008, when due to my frustrations with the way our representatives in Washington were handling the ongoing financial crisis, I decided to begin voting for someone other than the two major parties, only to discover that there were no other such candidates on the ballot. I resolved that going forward I would do my best to BE that choice, so that myself, and others who were looking for an alternative, would have one. So in 2010 I ran for the U.S. House of Representatives in the 11th District against Rodney Frelinghuysen. My campaign consisted mostly of radio debates and print interviews, as well as social media, with no door to door or road signs, and I did reasonably well for a third party candidate against an entrenched incumbent. Unfortunately I was unable to run in 2012, but I am looking forward to running once again this year, this time against Leonard Lance in the 7th. My hope is that against a weaker opponent, and with a more active campaign, I can make an impact, and get the message of Liberty out to the voters of the 7th District. Thanks to a long time subscriber to RTE for sending the link of Mike Huckabee speaking @ the NH Conservative Freedom Summit last month – Governor Huckabee was the clean-up batter @ the conference that was held by Citizens United and Americans for Prosperity Foundation. Governor Huckabee's speech begins @ the 4:30 mark. He discusses the FairTax @ 19:30 & best of all he provides a ninth grade civics lesson concerning the Supreme Court @ 21:40 – a lesson taken right out of RTE as I'm sure many readers will readily recognize. 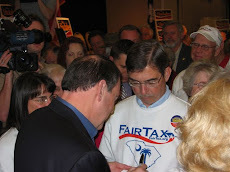 If Governor Huckabee becomes a 2016 presidential candidate he will bring the FairTax & the Founder's intent regarding the Judiciary Branch – two enormous differences from today that will go a long way toward changing the mindset of this country for the better.